irritants that have the potential to cause other health effects. 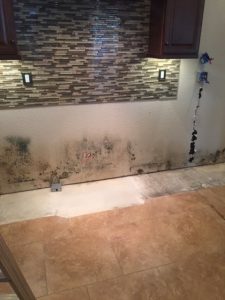 Mold remediation is the clean up and removal of mold, particularly toxic mold, from an indoor environment, such as a home, office, school, commercial space. Concern about exposure to indoor mold has been increasing as the public becomes more aware that mold can cause a variety of health problems and symptoms including allergic reactions. Infants, young children, elderly and immune-compromised, are at an increased risk of experiencing adverse health effects related to mold exposure. If you suspect mold and it is non visible you should have air sampling test done for that area. We can provide mold testing and the test samples will be submitted to a third party laboratory that will provide a data sheet of what has been found. 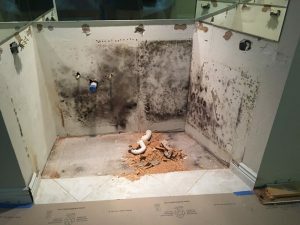 The obvious BLACK MOLD should be attended to immediately. In some cases, indoor mold growth may not be obvious. It is possible that mold may be growing on hidden surfaces, such as the backside of dry wall, wallpaper, or paneling, the top of ceiling tiles, the underside of carpets and pads. Other possible locations of hidden mold are walls behind furniture (where condensation forms), condensate drain pans inside air handling units, porous thermal or acoustic liners inside ductwork, or roof materials above ceiling tiles (due to roof leaks or insufficient insulation). Specialized equipment and methods may be required to remove mold damage. 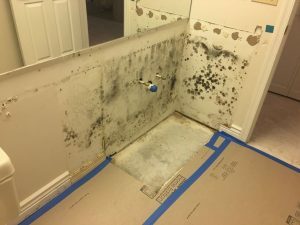 Once a toxic mold problem has been determined, there are a number of steps that need to be taken to not only remove the mold, but prevent mold recurrence. We recommend you hire a Professional State Licensed Re-mediator to take care of the problem. You have a responsibility to protect yourself and others that occupy, visit or work in the mold contaminated property. licensed holder is and ask for proper identification to verify that person is the license holder that came out to inspect your property.